An elegant maiden, cloaked in sparkling twilight, once extended this bow in tribute to a skyfarer's valor. 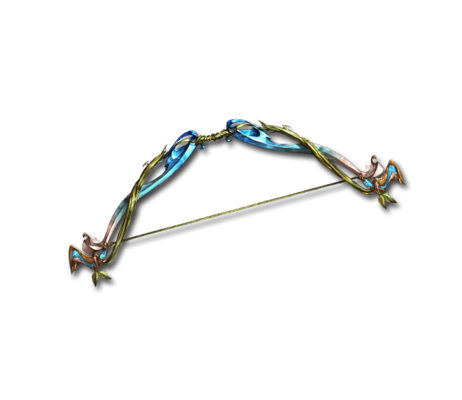 Blessings of florae be unto this bow; no living target can survive once sighted. House of Thebes Massive Water damage to a foe. The Omega Fandango icon is incorrectly drawn with Small ATK in the English version. The Japanese version correctly shows it as Medium ATK. This page was last modified on 5 December 2018, at 14:03.